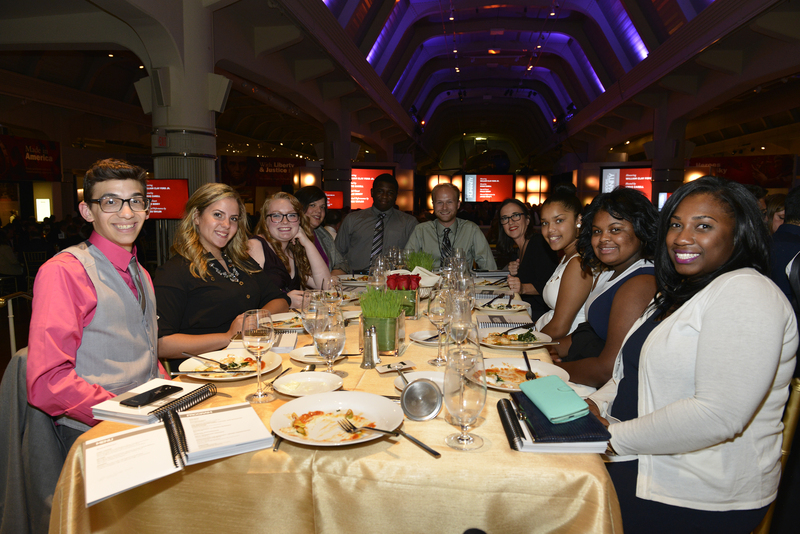 While guests of the 2015 Ambassadors for Humanity Gala on Sept. 10 trickled into the Henry Ford Museum and enjoyed a cocktail reception before dinner began, a small group of high school students was hard at work. These 15 students were chosen from among the participants of last month’s IWitness workshop at the Henry Ford Museum and Henry Ford Academy to participate in the “Classroom Experience” at the gala. 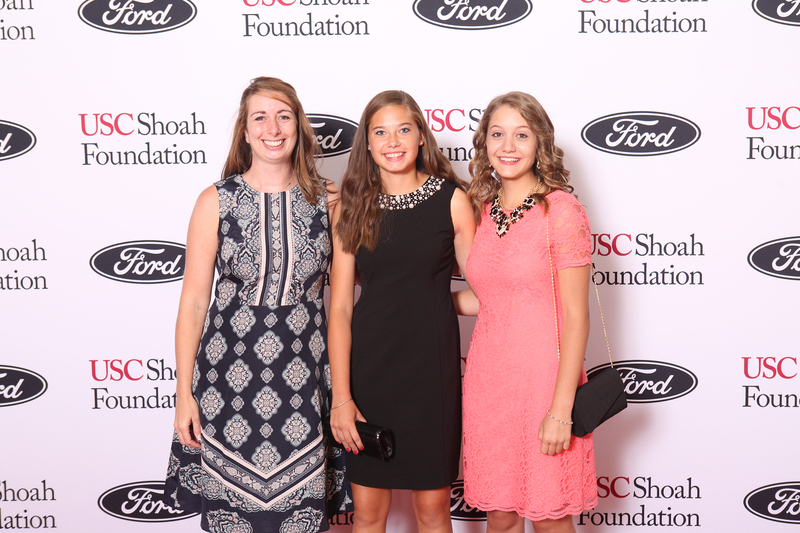 The Classroom Experience is a showcase of USC Shoah Foundation’s educational work that all gala attendees are invited to observe. The workshop and Classroom Experience are part of USC Shoah Foundation’s program IWitness Detroit, a two-year effort that focuses on the development of local capacity through the provision of teacher education, programming for students and key academic resources to engage students in learning through eyewitness testimony, delivering a multimedia educational experience which builds core knowledge, 21st century digital literacies, critical thinking and empathy. 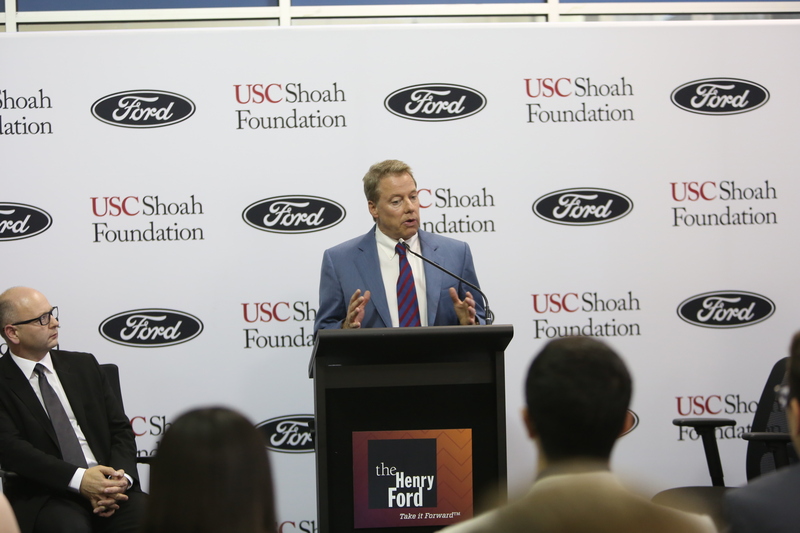 At a press conference at Henry Ford Academy just before the Classroom Experience began, Bill Ford, recipient of the 2015 Ambassador for Humanity award, and USC Shoah Foundation founder Steven Spielberg announced Ford Motor Company’s support of IWitness Detroit and two-year sponsorship of the IWitness Video Challenge. During the IWitness Detroit workshop for middle- and high school students Aug. 13 and 14, USC Shoah Foundation staff led a special activity that connected testimony to the museum’s exhibit Liberty and Justice for All. After touring the exhibit, the students, who came from the Henry Ford Academy, Churchill High School, WAY Academy, Vista Maria, and other educational organizations, participated in the IWitness Mini Quest activity “Finding Your Seat on the Bus” at Henry Ford Academy. 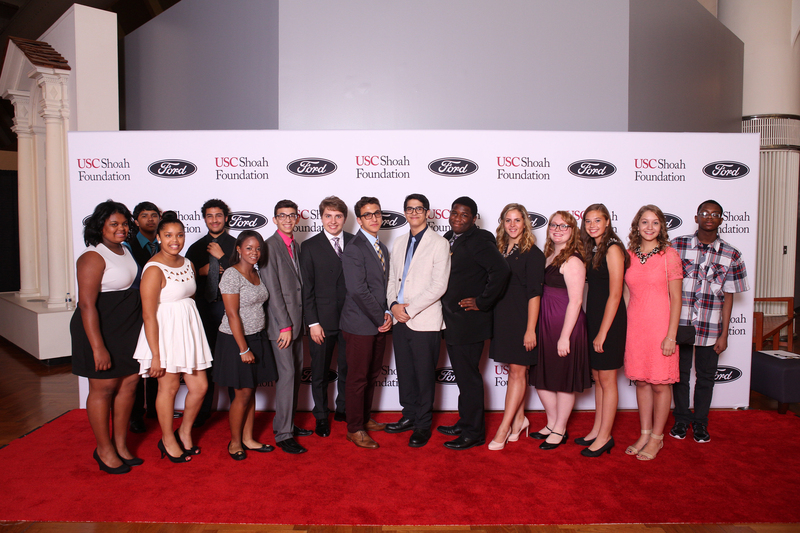 The Classroom Experience at the Ambassadors for Humanity Gala was a follow-up to “Finding Your Seat on the Bus.” Led by USC Shoah Foundation education staff, the students worked in small groups to write new poems inspired by testimony and the qualities of grit, determination and resilience. While their original poems had been about themselves and their personal goals, their new poems were addressed to a wider audience with their own advice for creating a better future. They read their finished poems to the audience and a few students spoke about what they had learned from the activity. They each said that they had been inspired by the testimonies they watched in IWitness and had learned how grit, determination and resilience could help them be leaders and make a difference in their community. 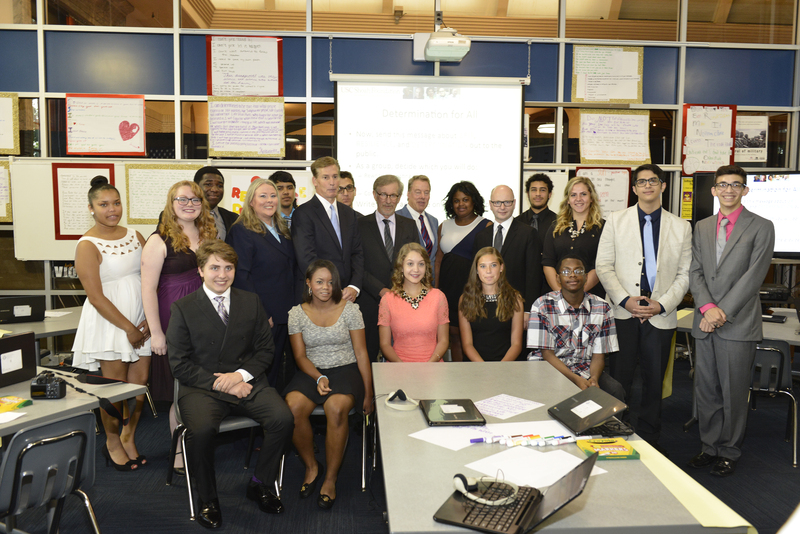 The students also had the opportunity to meet Ford and Spielberg. 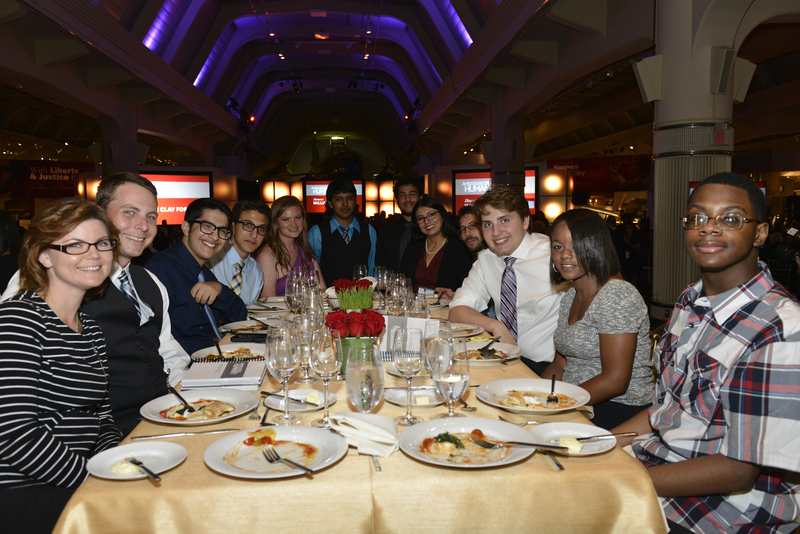 Once the Classroom Experience was over, the students had time to mingle with gala attendees at the cocktail reception. 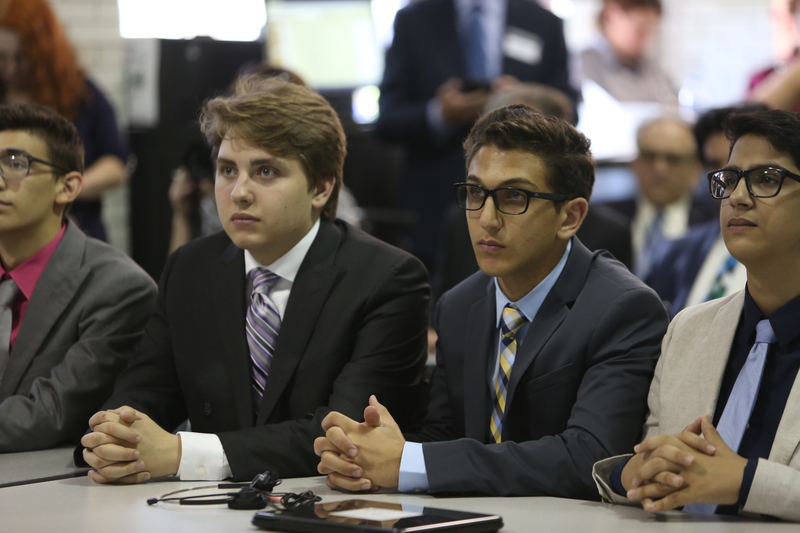 Armed with iPads, the students showed guests the poems they had written and chatted about how IWitness had impacted them.